Kids are innocent and they don’t know what is bad and what is good. Sometimes they fall in such a situation which they do not feel to share with their parents or elders. However, if you are a parent of a teenager kid that it might happen that you have seen a sudden change in your kid’s behavior. You even might have noticed him/her spending most of their time on mobile phones rather than sitting with the family members and cheering. It actually happens with the generation of the 21st century who spend most of their time on smartphones playing games, watching inappropriate content and chatting with their friends on social networking sites. If your kid is also acting weird and hiding his/her phone from you then it is obvious to worry. Maybe there is someone who is threatening your child, maybe someone is misusing his or her shared pictures and blackmailing them to get indulge in wrong activities. When all these things happen, kids often hesitate to share it with their parents thinking that parents will scold them or stop them from going out. But, being a concerned parent if you want that your kids should remain safe and should get indulge in wrong activities due to someone’s pressure then it is best to monitor their activities. Nowadays, numerous parental control tools and software are available online that have helped and are still helping parents to control the activities of their kids which they perform on their smartphones. So, this article is for all those parents who are searching for the best and most effective parental control tips to protect their kids from uncertain threats and cyber bullying. But, before that let’s know what parental control is. Set controls on a search engine: you can encourage your kids to use only friendly search engines and lock the search settings on the web browsers they use. Make sure that the device is protected– this application should be installed in every device that your kid and other family member use like gaming consoles, tablets, and mobile phone. Privacy settings: with the help of this application you can activate the safety measures that are offered by social media sites as this will help you prevent your kids from watching unsuitable content and advertising. Block pop-ups: if you are concerned that your kid is accessing inappropriate content by clicking the advertisements in pop-ups then you can stop these advertisements through this spying and monitoring application. Manage device usage and access: it might happen that your kid is less likely to let you know that they are distressed by something that they have seen online if you take away their internet access. Therefore, be aware when you talk to them and let your kids known they are talking to a trusted person and they can talk about anything freely whenever they want or need. Before you start to use this application, you have to physically the device and go to the setting option and turn on unknown sources option. After this, you have to visit the official website of this app that is http://android.thetruthspy.com and click on the download now option. Now your application will start to download. Once the application is downloaded you can start the installation process. After this, you have to create a new account if you already have a Gmail account then log in with it. Once you have created an account, you can start the monitoring process. The application allows parents to now monitor all the call logs, text messages, SMS, browsing history, GPS location, crack security password and much more. There is no need for you every time to take your kid’s phone and check the details. Simply get this application downloaded and installed it on target now you can easily get each and every detail of your kid where he or she has gone, with whom they talk, what they are seeing on their smartphone and where they are going. The application offers its users various features and benefits that make it even more demanding. However, keeping a good environment inside the house and keeping good relation with kids can help you a lot in finding what all is going on your kid’s life. When they are sure they are free to share things with you they will definitely share it with you. 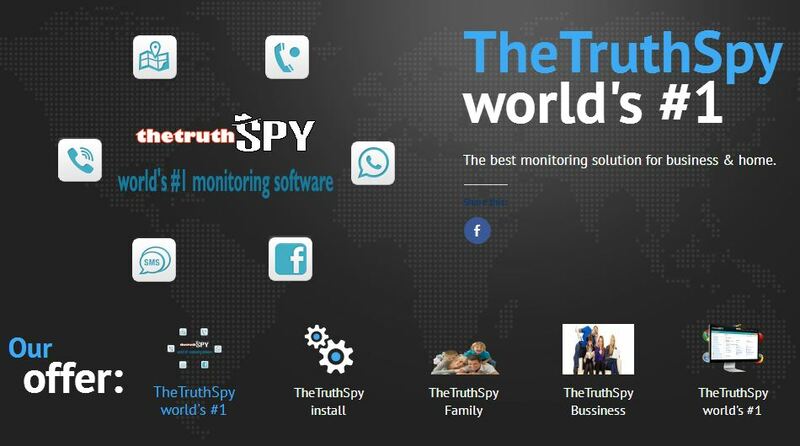 Thus, other than using TheTruthSpy, you should make sure that your kids feel free to talk with you. If you feel that they are not sharing things with you or hiding things from you in a threat that you will scold them then you can use this spying and parental control application and know what is going in your kid’s life and protect them from uncertain threats and cyber bullying. Made a promise to LUCIFER that once my credit is fixed I will post a comment about it, I’m here to fulfill that promise, as a war veteran who’s been through a lot, people rarely appreciate our efforts in keeping this country, I was trying to get a home, I couldn’t cos my credit was low due to bad decisions, hardships and circumstances beyond my control. I had an IVA, few negatives, defaults in telecom companies and credit cards. A friend Maurice Benny told me about LUCIFER CREDIT SOLUTION, and what they did for him. I quickly contacted them through (Luciferhacker750@yahoo.com and in 9 days I had my credit fixed. My score was increased everything is perfect. Thanks to God and LUCIFER. You can Whatsapp them via +1(231)267-8976 (Luciferhacker750@yahoo.com. phone,Snapchat account,Whatsapp Email, Twitter account Facebook, Instagram and other social networking site and Change of university grades. Began to suspect my wife of cheating because of her recent change of attitude, so the idea of spying on her popped up. I engaged in search of spy apps, even hired the service of a private investigator but none gave me what I really wanted. So I came on here to sort for help and after going through some reviews about an Lucifer team, I decided to give it to make contact, to my utmost surprise, they delivered brilliantly, with no waste of time.